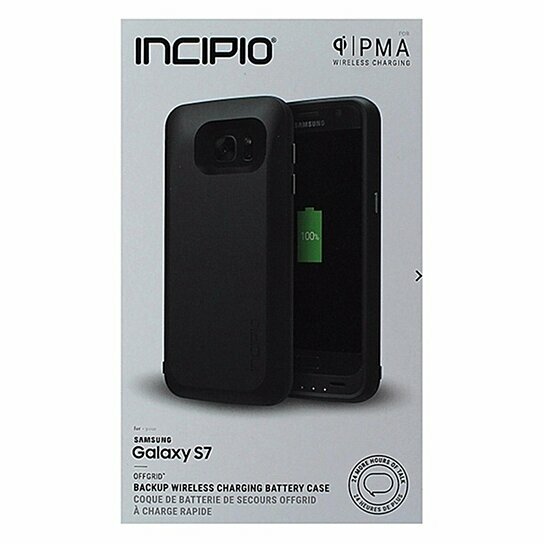 Incipio brand OffGrid Series Wireless Charging 3,700 mAh Capacity Battery Backup Case for Samsung Galaxy S7. All Matte Black finish. Supports universal wireless charging. 3,700 mAh capacity lithium-polymer battery.